I always have to smile thinking about this project. Ken and Lucian were great clients to work with. They provided a large assortment of quality, professional photos. As designer and developer on this project, I took full advantage of their photo stockpile and selected or designed banner images for nearly all the pages. 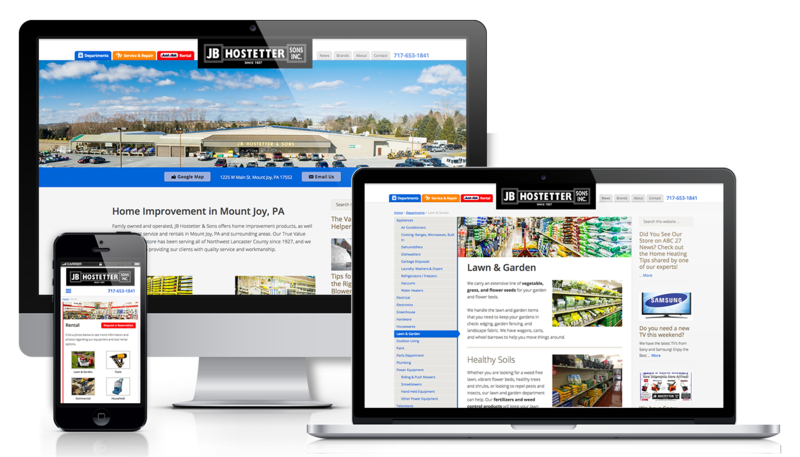 Designing the JB Hostetter website was a great deal of fun for me — complete with a style guide and flexible header design. I developed this website using the Education Pro theme by StudioPress, although only the blog still shows a faint resemblance to it. This website was another project I completed for RedX. “Jason and his team exceeded our expectations in every way. Their patience in working with us and guidance that they provided made the entire experience a positive one. They provided us with a first class web site which will positively impact our business moving forward.